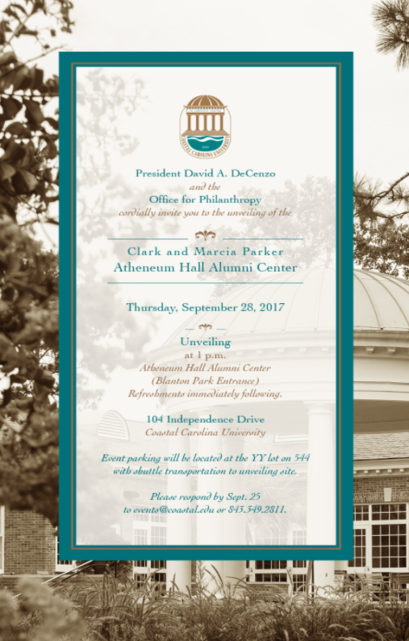 Coastal Carolina University will be honoring Clark and Marcia Parker September 28 at 1 p.m. The Parkers are both graduates of Coastal Carolina University. Both received full scholarships, Marcia from Horry County Higher Education and Clark from Georgia Pacific Foundation. Congratulations to Clark and Marcia Parker from Parker, Hunter, Skipper CPA. As a small business owner you have to keep you eyes on many things, but you always need to make sure you stay focused on your accounting. If you don’t properly manage things like your debt, receivables, or marketing expenses accurately, your company could go under before it has a chance to grow. However, if you implement these 5 simple bookkeeping strategies you can help your business flourish for years to come. Many entrepreneurs may feel ready to act as the head of accounting, sales, and marketing in order to cut costs However, it may be best to hire a bookkeeper or accountant. It can comforting to know that someone with experience and knowledge is working on your books. As a matter of fact, you can hire accountants part-time so you’re not paying a full time wage for these services. And it can be well worth the piece of mind for the little cost. So you don’t lose sight of what is yours and what needs paying back, small business owners need to keep financial backing and loans for startup capital, marketing campaigns, etc. separate from their receivables. It’s best to use software that separates income from borrowed funds. Seeing big numbers in your accounts receivables column is a good thing, but remember the money doesn’t actually count until it is in your bank account. Don’t let clients avoid their regular payments. Stand firm and insist you receive payment for past orders before letting them have more materials or services. This is crucial in keeping your company afloat and in the black. Business owners need to keep records of everyday expenses they incur in the company. Instead of calculating expenses every two weeks for payroll purposes, you should focus on it every day or every week. This can help you have a better idea of where finances are each week, and help you budget for the weeks to come. The numbers can get complicated when planning how much it takes to keep a small business running. It is best to devise a system of expenses and regular obligations so you know exactly the minimum income you need every month to keep the doors open. Income can be the easiest to calculate so make a strict target you’ll need to earn monthly. The partnership of Parker Hunter Skipper CPA LLC has brought about a varied background of experience that would encompass 129 years collectively. Clark B. Parker works in the area of personal income taxes.